Every parent wants the best for their child. Making sure your custody and parenting time arrangements are in the best interest of the child is imperative to make sure your child can thrive. Chambers Law Office is here to help. 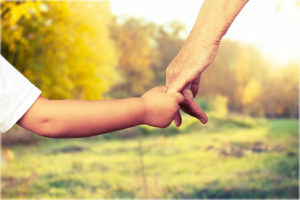 Whether you need to modify a custody order or establish or modify parenting time, the attorneys at Chambers Law Office will take the time to listen to your goals and concerns, and help guide you through the process step-by-step. Some of our clients come to us needing to modify custody due to a change in circumstance, while others need assistance setting up a parenting time order for the first time or modifying their parenting time schedule. No matter your circumstance, Chambers Law Office can help. While we will take a collaborative approach when appropriate, we will also zealously advocate for you in court when necessary. However, we also understand that family law proceedings can be difficult, emotionally and financially, and at Chambers Law Office, we will always be mindful of your time and budget. Whether you need to establish or modify a parenting time schedule, or need to modify a current custody order, Chambers Law Office is here to help. Katie Kawiecki, Of Counsel at Chambers Law Office, handles a majority of the firm’s family law matters and she represents clients in Indianapolis and throughout central Indiana, including Hamilton County, Boone County and Hendricks County. Contact Chambers Law Office today to schedule a consultation.